Home Archive by Category "Android"
While buying any smartphone the first thing that needs to get decide is which OS phone you want to buy. The two most popular choices that lie in everyone’s head is – Android and iOS. Both are equally useful and plays an important role in your life. There is nothing like choosing the perfect among the two as both are equally perfect with their work of operations. There are many chances the first OS you use ends up liking that only. Though both are perfectly good with their features and performs all the actions required. But if you’ll take a closer look from the business perspective you’ll end up noticing the differences between them. iOS is a mobile operating system specially invented for the use of Apple manufactured products. Devices like iPhone, iPad, iPod Touch, and Apple TV everything runs on iOS. Invented in the year 2007 iOS is based upon direct manipulation. iOS interface control elements consist of sliders, switches, and buttons and interaction includes gestures like tap, pinch, swipe, and reverse pinch. Android is a mobile operating system based on the modified version of the Linux kernel. Developed by Google, it is primarily designed for touchscreen mobile devices. The first point through which we’ll show you the difference between Android and iOS is its hardware. As you all know Google’s Android software is used by nearly all the mobile phone companies like LG, Samsung, HTC, etc. However, on the other side, you’ll find iPhones are launched only by Apple. And only iPhones can make use of iOS software and hardware. It shows Apple’s restrictions, protection, and control over its operating system. Android phones are commonly used by a large number of public because of its price, features, and quality. Providing good quality features and services they are much cheaper than iPhones. But since they are so readily available their hardware is more prone to problems. iOS and Android both using the touch interfaces have lots of things in common. Like swiping, tapping, zooming and pinch. Just like computer desktop both iOS and Android operating systems boots to a home screen. Android using the feature of widgets auto updates information such as weather and email. While the iOS home screen contains only rows of app icons. Both iOS and Android displays their status bar on the top of the screen showing information like time, WiFi, cell signal, and battery life. If you will compare you’ll see the App Store offers very few applications than Google’s Play Store. Also, Apple is much more strict with its apps. On the contrary Android apps are easy to install and download. It is also seen that it is easy to put any fake app in Google’s Play Store. It is a major potential security threat for users. Apple goes through all the points before putting any app in the App Store – offering complete security. Thus development costs of Apple apps are costlier than Google apps. Apple products in terms of pricing always run high in the market. If you’ll go and check the newest model of Apple that is iPhone X is available at Rs. 94, 845. Similarly, the starting price of the iPhone XR is Rs. 63, 699 and iPhone XS Max is Rs. 1,24,900. Buying such a high-cost mobile phone with an average income is not at all possible. On the other hand, if you’ll choose the latest model of Android smartphones that is Samsung Galaxy S10 Plus or Google’s Pixel 3 XL their prices are quite low and affordable. Even if you buy the best Android mobile phone of 2019 that is One Plus 6T is also very less in price as compared to Apple. Thus one can clearly see the huge choice of a good and low-cost variety of Android phones as compared to Apple. And the features and services provided by them are not less in any mode of comparison. Also, the apps provided by Android are free and offers much more variety. 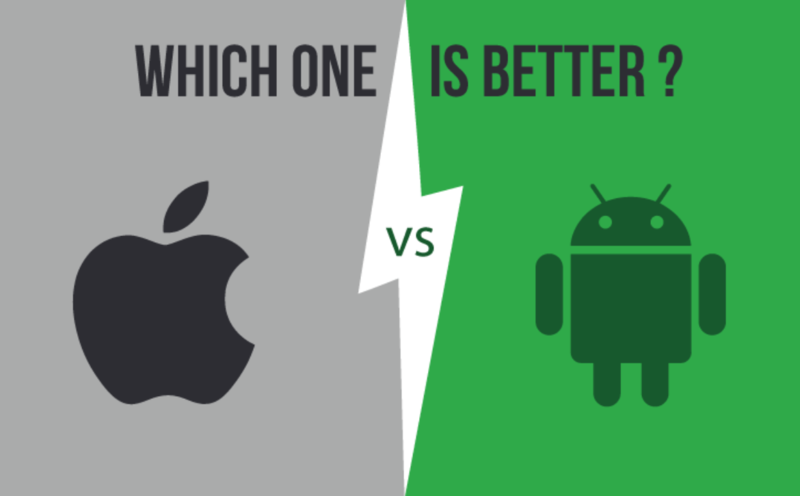 Therefore choosing Android over Apple is always a choice of benefit in terms of cost. Battery usage is another important factor which matters the most when you start using any cell phone. Since both the platforms share no common hardware it is tough to mention their differences. If you see them together both the Apple and Android allows its users to check the amount of battery they’ve used. Also, both offer the power-saving modes which can be used to extend the life of your mobile battery. Both Apple and Android provides you the functions of limiting performance and connectivity including many other features and options. However, if you’ll give a close look you’ll see Android has the ability to customize its power-saving modes. Many Android phones possess the power of fast-charging capabilities or even wireless charging. In that case, you’ll have to look for a fast-charging adapter which is usually already provided in the Android box. Thus after comparing both the one you can trust more in terms of battery is Android. iOS is a powerful platform providing clean and up-to-date menu system. The interface of iOS is not a headache. iOS provides you top-quality third-party applications. Works in a professional way. Applications on iOS cannot access the operating system. Android applications, on the other hand, can directly access its operating system. Which means if the Android application crashed it would take down the entire system of your phone. iOS is more secured to come into contact with viruses or malware. Development of an app is more easy in Android as compared to iOS. iOS is more easy to update with new versions as compared to Android. iOS provided with integrated theft prevention software helps you track your phone if lost or stolen. Without entering your password it is impossible to turn the GPS off. Android is much more flexible and easy in use. Android interface is much real in use. It gives you the exact look of icons and fonts as compared to iOS. Providing access to the operating system, Android allows you to install any app from its Play Store. Android provides you to use its features in more fun ways. Apple introduces its features in a very slow process however Apple, on the other hand, is more frequent in launching new features. Android smartphones provide you more hardware capabilities and features as compared to Apple. Home Screens of Android can not only be filled with apps but also with widgets which allows you to stay connected. Android smartphones are less costly than iOS. After going through their differences it is very clear that both Android and iOS are equally good and important in their places. Choosing one among the two operating systems is completely based on your choice of work. Different categories are liked by different peoples. Some prefer hardware while some prefer security. If you want your smartphone provides you good battery capacity and customization techniques choose Android. Or else if you want a more professional platform for your work then choose iOS. Both iOS and Android are good with their features and performs their tasks very efficiently. You can even start your e-commerce business using Android and iOS services. If you’re looking to design your website in Android and iOS contact us.  Hire Android developers and dedicated iOS developers from Nimap Infotech. Our company outsources IT developers on a timely or project basis. Our Android and iOS developers are well experienced in their work and had served more than 500 clients. Because of the growing digitalization and smartphone craze, you must be very well aware of what Android is and how it functions. Developed by Google this mobile operating system is based on the modified versions of Linux kernel and other open source software. Initially, the software is designed for smartphones and tablets that is for the use of touchscreen mobile devices. However which further got developed with the specialized user interface. Like Android TV, Android Auto, Android wear watches, Android games and many more. 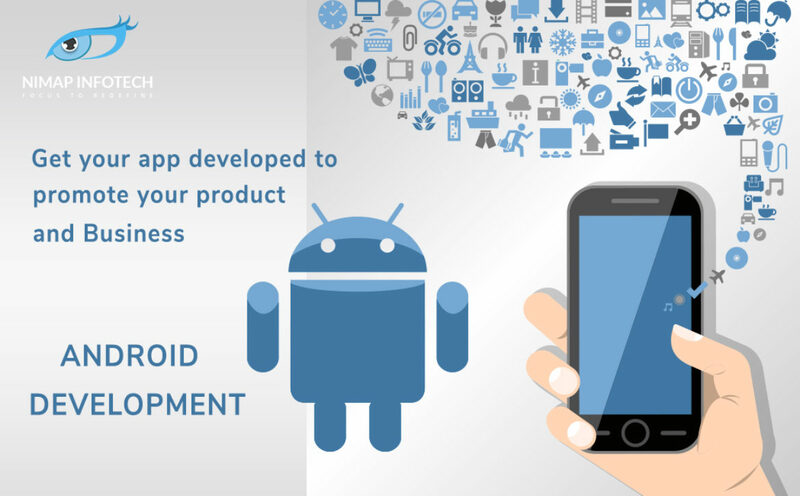 For business purpose, Android App development leads to increase productivity with better ROI on business. Offshore in simple terms is known as the process that provides or outsources digital services to overseas companies. Offshore outsourcing removing the headache of hiring simply outsources their digital services for a particular time period. Depending on the time or project when a company obtains its services from outside the country. Thus obtaining the services to work for your company from outside the company where it is established is known as offshore outsourcing. The biggest advantage it provides is that you can hire services from low-cost region to get your work done at a very low-cost price. Do you know How to develop an app for android? The process of involving or outsourcing digital services to overseas companies is known as offshore development. Using the process of offshore outsourcing business enterprises will receive custom-built software and dynamic web and mobile applications without getting any headache of hiring. Often, the terms offshore and outsourcing appears interchangeably but there are some subtle differences that exist. 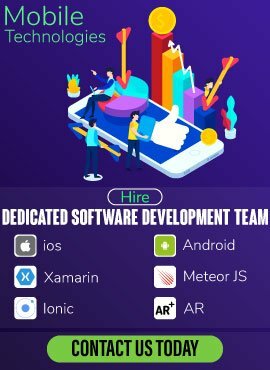 Here’s a list of ways showing how hiring Android developers offshore can increase your mobile development team and business’ productivity. While you expand your business development it is natural to hire developers for handling your increased work. If you think multitasking can help you it can only be done to a certain extent. For handling each task properly you need to hire developers. However, if you don’t want to take risks with your budget and want to go smart with your business. You can think of hiring offshore developers. Android app developers offshore allow you to add members in your team to evenly divide your work tasks. 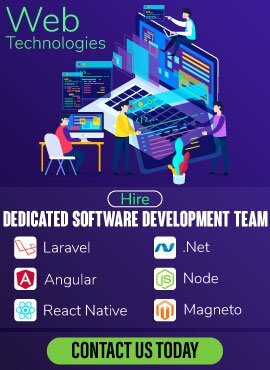 Hiring developers from offshore provide you more flexibility in your work. Offshore developers help you add developers to your team with different goals, knowledge, talent, and environment. It helps your teammates learn more things from them. If you have a big project you can even hire and make a small team of your offshore developers. The team will work according to your instructions in the way you want your project to be. Giving you complete control over your team you can plan, decide, and develop strategies to guide how your team should work. It will help you take complete control over your project operations. With the development of Google’s latest version – KitKat, Android opened many opportunities for their customers. Combining both the search technology and data on mobile devices it introduced many new features. With the use of these Android developers can access all the information, data, contacts and other apps such as Gmail, Chrome, Search, Drive, and Maps. Also, Google’s personal virtual assistant will help you learn about many new things. Leveraging this technology any Android developer can create and design a good app of their choice. It makes the Android platform enhance its productivity and overall user experience. Depending on the needs of your work and projects Android developers will go the in-depth study to the needs of the application. Offshore developers will always provide you suggestions that are new to improve your application. However, the only challenge one will face while hiring offshore Android developer is security. Hiring offshore developers is very common increasing the chance of frauds and threats. 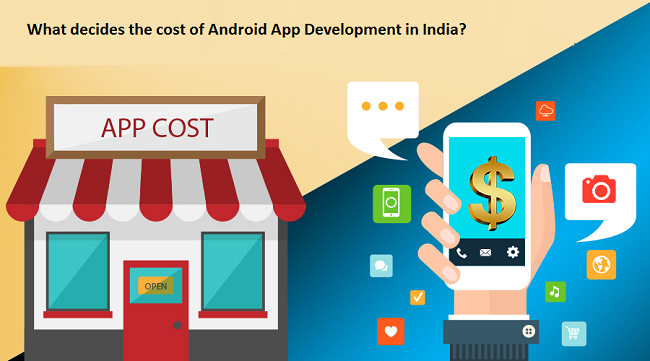 What Decides The Cost Of Android App Development In India? Therefore always be professional when it comes to working. No matter how well you know the offshore developer always signs an NDA (non-disclosure agreement) with them. It will keep your companies information safe and free from the reach of the wrong hands. The difference in currency rates adds great benefit in increasing your income. Helping both the developers and owner difference in the currency rate will always serve more profit. Hiring a developer offshore benefits you as they are always experienced. They work with high standards of proficiency and reliability. They will always take your work seriously to complete it as soon as possible. This guarantees you error-free submission of projects. Thus hiring an offshore developer assures you excellent project deliveries. Offshore developers are filled with different skills. Bringing different talents in one room will generate your ideas in a completely new way. You can tell and add all the extra features that you want to show up in your work. They will always work on your projects putting 100% efforts. Hire the best Android developer to design your app in the most innovative way. If you do not have much knowledge about Android development applications hire Android developers who can guide you. Read more about Android development services at Nimap Infotech to know more about Android solutions. Our Android developers are always ready to help you meet your needs. How to develop an app for android? To answer this question the first thing one needs to know is what does an app mean? Obviously, everyone knows this today, but how many of us know what is the procedure to create it and on what all tools or functions does it work upon! Not many, reason being teens are fascinated by its visual impacts and features which makes them think using it with the world will make them look cool, and adults are just happy with its arrival as it is allowing them to make their work appear simple and easier. But hardly anyone will get interested in knowing its way of creation other than the ones who are looking to move forward their business ideas to pursue a new layer in the digital field. In recent times, along with the businessmen and infotech companies, this information is being googled more often and more actively. To run with a smart world one needs to sustain himself that smart and for that emerging of new business ideas is must which can be executed well enough. With the emerging new traditions everything old got renewed, small black and white handsets converted into smartphones, applications used to run only in computers and laptops shifted their way towards mobile phones and digitalization reached its peak. Today instead of loading any application in personal computers we can easily install them in our phones through one single click. Its increased demand thus significantly gave fuel to its availability and charged it up with an add-on of great reliability. Native which includes – iOS, Android and window phones. Web applications as responsive versions of the website to work on any mobile device. Native apps are used for a single mobile operating system exclusively, therefore they are “native” for a particular platform or device. Application developed for systems like iOS, Android, Windows phone, cannot be run on a platform other than their own. In other words, you won’t be able to use an iOS app on any Android phone. If we take a survey, Android among all is the most widely used application running all over the globe. Main reasons lying behind this include mobility, variety, ease of updates, notifications, multitasking, easy to access and most importantly it provides all the features and advantages in a quite easy and achievable price. Due to the increased demand, productivity and various innovative creations this race of mobile applications got very high where only the best can lead overall. So if you think you are intelligible enough with your ideas and wants to enter into the world of marketing through this phase then along with the idea you need to work upon its execution as well. Be precisely ready with the idea. Next according to the based idea do the needful market research and list out all the other companies following the same trend and see their market growth and observe what all inputs they are lacking to which you can work upon and can come up as a strong competitor to them. Developing an app doesn’t mean create it at first go and face all its consequences later but a smart developer first keeps all the coming pros and cons in mind and then function as an analyst. After doing all the research, take the next important step and start executing your plan practically. Master the computerized or code languages as our machines totally understand a different language than us and if you want to communicate with them you should be thoroughly ready with its language. It is important to familiarize yourself with good automation tools and integrated development environment. 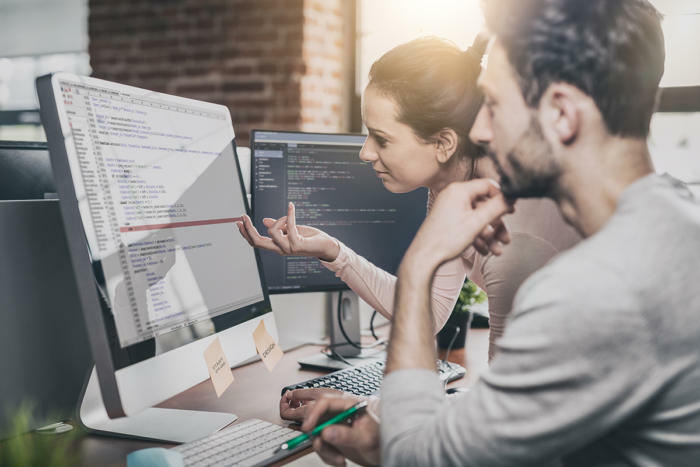 You can use Android app studio IDE or the Eclipse tools or can use app-builders as they will make you learn the basics and will help in improving your codes. You can even go with Apache Maven, Apache Ant, and Gradle as they provide powerful sets of tools in helping and managing your builds. At this point, it’s time to sign up for the stores. Create an account with Google Play so that you can get your app on market. Make sure you make your application be potential enough that whosoever go over it surely download it. Your work is not over yet, after being downloaded, it must be smart and strong enough that it satisfies all the needs of the customer or the person using it. It should be filled with fascination that once after using this customer should not think of deleting or trying any other application. Send your application for feedbacks, as you may think your app to be perfect but you need to know about your customer’s requirements at the same end so that you and your users can go hand in hand and make changes accordingly to balance and raise up the requirement. 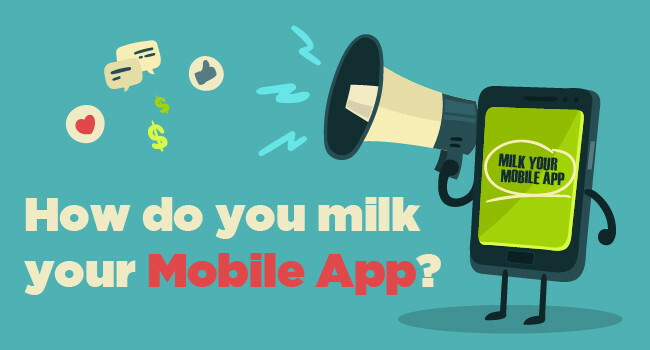 After feeding enough feedbacks you will surely start getting some likes and subscribes to your app from people who are using it and that is the perfect timing for your application to get more promotions and advertisement. Another last important step you need to follow is starting updating your application with new features at least once or twice in a month and make users know about it by sending notifications so that they open your application more often which makes them start trusting you and think you are a successful app maker. So, going digital seems to be no big deal nowadays for any business, be it a local florist or a retail major. Your potential clientele wants and expects the virtual presence of your brand. Rightly so! That leaves you with no choice, but to develop the wonderful android application for your company. When you decide to hire a mobile app development company in India, you will need to ensure that the final app is quite set to give you the business that you need. After all, you are spending all the money and efforts for business growth. An app that looks good but doesn’t translate into money is of little use, isn’t it? Simplicity touches and connects in unbeatable ways – always. A simple app design is what grabs the attention. Complex and lots of technical mumbo-jumbo looks good on paper, but remember your users may not be that tech-savvy! Check out by wearing the shoes of the users. Simple. Intuitive. Direct. Period. Buzz it up, create an aura! You need to have a trend and make your users ask for more. Easier said than done. Tease a little, give a few features first like a trailer. Give your audience a sneak peek, scratch their curiosity buds, and then draw them towards your new versions with more! Is it really what they want? One of the first things you will need to check is what the market wants. Is your USP ‘good’ enough? This is what will make or break your work. So, get it right before you start. You need to scour the entire virtual zone, look for competitors’ offerings from around the globe. The world has shrunk a lot after all, hasn’t it? If you can, get insight about trends and what can be expected to come soon. Make lists, brainstorm, and redo it all over again – and yet again. This exercise will make your app design lean and fit! Take a dip in boiling water, just a bit! Not, really! The parallel drawn in the app development world means that you need to release your app idea or prototype to a small section of your target users. There is nothing that works better than live feedback. Let it be a freely flowing feedback. Encourage direct and honest opinion. Time spent now is huge money saved later. Close the loop. Start from the drawing board, go to the user. Then, go back to the beginning with the inputs from the field. Involve UX/UI experts, strategists, marketers, business users, advisors – et all! Be transparent, welcome tangent ideas and criticism. At this stage, this is the litmus test that your app needs. When you burnt the midnight oil, bask in the aroma! The new age oil is all flavoured to smell right and intoxicate after all. Your app will have that aromatic edge and do the wonders that you seek. The mobile app development market is jostling for space with too many entrants in this field. In countries that have technical tilt to their advantage, such as India, this results in a number of confusing options for those looking for Android app development in India. Yet, the cost may vary as much as the range between the cost of diamonds and stones. So, what does the cost of Android app development depend on? Of course, the Android applications rely heavily on underlying platforms, technologies, and the actual features of the apps. Also, the type of devices that the app would run on affects the total cost. Some other factors include the timeline, as cost equates with time in today’s world and will also guide the number of resources used to develop it in the agreed timeframe. The profile and preferences of the users targeted by your app will guide its features and this will also impact cost. How can you validate the perfect Android app development services for your business? The ideation has to be laid down into a producible piece of software that can be developed as an app. This will clearly lay down the functionality as it caters to the end-users and mas it backwards to the features. Your inputs are valuable to make it more receptive in the market. This divides the design across various modules, back-end, front-end, and connecting subsystems. The interfaces are clearly listed down here. The actual development of the product takes place as per approved design and expected functionality. Testing at various stages for positive as well as exceptional scenarios and at various integration stages gives confidence on the stability and the functionality of the app. Based on the testing result, the plan to go live is chalked out and followed. This is an important phase to validate the app and the idea from actual feedback collation from the users. This is where many companies fail to focus on and it can actually wash away all the expected benefits and let the entire efforts of the Android app development go waste if your users do not find the app useful. Therefore, the feedback must be backed by sessions on how to improve the app. This can be planned in various cycles or iterations that use a subset of the steps listed here all over again. The actual cost cannot be put directly in figures without understanding your business needs. So, be wary of vendors who set out to quote numbers without much deep diving into your requirements. Any reliable Android app development company in Mumbai will place prices on the table after thoroughly understanding your needs, and giving expert advice by fine-tuning the needs as well. Cost should be balanced and weighed against hidden and often-overlooked parameters like flexibility of design, scalability, after deployment maintenance and support and readiness to change and adapt. So, you have launched a number of apps for various aspects of your business and have been able to expand your user footprint significantly. With this achievement, the volumes of user data and other sensitive information flowing through your systems gets exposed to the threat of unscrupulous hacking. With so many payment gateways, interoperating systems, and outsourced partners, data is perhaps the most vulnerable in the virtual world. Smartphones have made it mandatory for mobile apps to take in this data to feed backend operations of all sorts of business. Gartner has predicted that 75% of the hacks in 2017 will be due to misconfiguration of apps. It is therefore of utmost importance that those developing Android applications in India consider security as a prime focus area. The app is as secure as its code. Hackers often pick up the code available on public domain and reverse-engineer it to create a splitting image of the original, but it is enthused with malware. Thus, Android programming must use tools and platforms that can lock and secure the source code. An exposed code is highly susceptible to client-side injection by malware. Secure configuration must be done to maintain the code. The API’s are hooks into a software; hence apps must identify the caller of the API and check the permissions before going further. Apps pump data relentlessly and unsuspectingly by the user. The device’s underlying security model is prone to jailbreaks. It is important to restrict access to enterprise data by these devices and the apps lying there. Judicious app design elements should take care of picking out only relevant data for the desired functionality. The network connection to cloud-based systems should be secured. VPN, SSL and TLS are some of the standards that can be used by Android applications. You may have a number of apps for your enterprise. One cannot always focus on all apps at the same time. Hence, when launching or maintain an app, it is a wise idea to categorise it in priority in terms of security threat levels – high, medium or low, or other such parameters, such that optimum efforts on security aspects of each app can be considered. Data traveling over interfaces has chances of being intercepted for misuse. 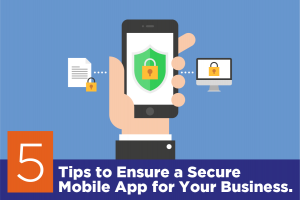 Hence, apps must incorporate smart encryption strategy at the very onset of app development. All databases and data files as well as the stored must be encrypted code. In fact, the encryption key management process must be also reviewed and updated regularly for continued cryptographic security. Intelligent security layers to authenticate your users is a good way of reducing unauthorised access. This validates the user’s identity in multiple ways and thus controls access. Furthermore, OAuth2 and Open ID are some specific technologies that a person keen to learn Android programming must focus on. Including these in an app will enhance its security. Repeating different types of authorisation at multiple levels within the system and not just at entry level is a better way to ensure authorized access. Mobility is a boon, but it is also a threat that are a favourite target for malware. 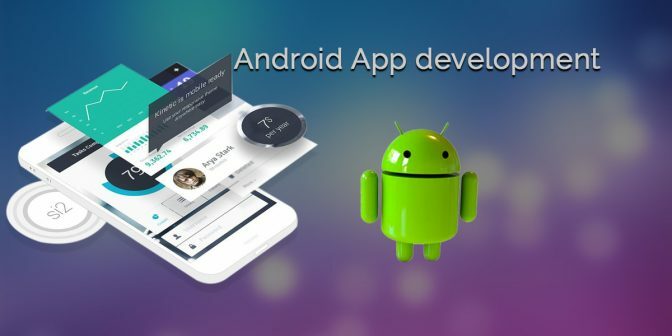 An Android app development company in Mumbai that takes care of the above-mentioned points will help you to leverage the benefits of enhanced productivity, far-reach, increased employee satisfaction, with a handle on the security of business-critical data and informational assets.